Calvin & Hobbes representing a typical comic strip. A comic strip is similar to a comic book in that it is one panel or more that conveys a story with art and words together. 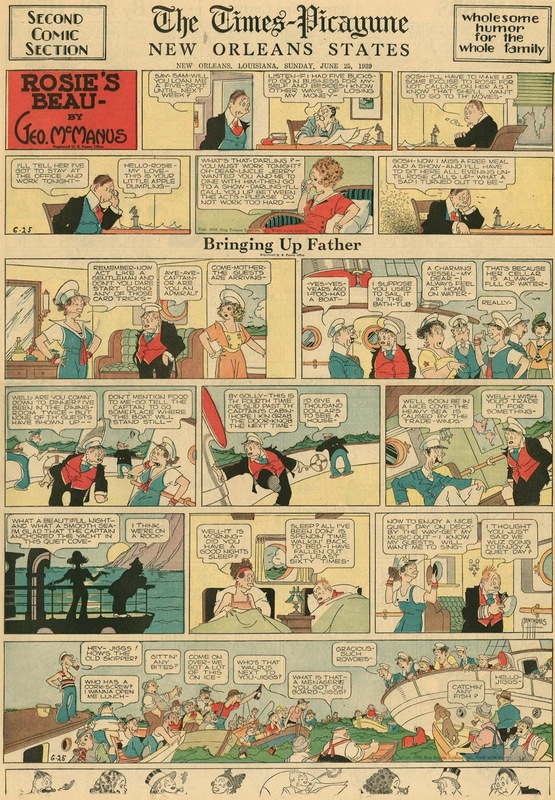 In fact, comic strips were the precursors to comics in that the first comic books were just reprinted strips repackaged in a magazine format. 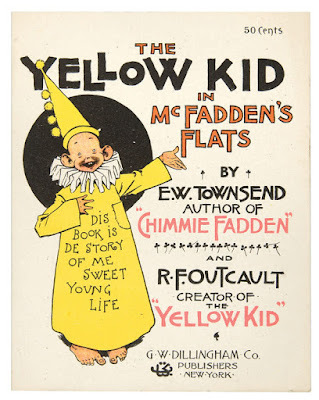 A collection of The Yellow Kid strips. Comic strips have existed in various forms throughout human history, eventually evolving into the format we all knew today in newspapers and magazines. The title of the first newspaper strip is often given to The Yellow Kid. Many strips have come and gone, but others have run for decades without any signs of stopping. The Golden Age of the comics section. As some strips grew in popularity, television executives took note and brought those concepts to life in animation. Some of them even on Saturday mornings. So, with The Peanuts Movie hitting theaters, what better time to take a look at those strips that were adapted into Saturday morning toons? It's Comic Strip Month on Saturday Mornings Forever. Snoopy at work in Peanuts. Calvin and Hobbes!!!!!! My favorite strip of all time!!! I cried when Bill Watterson decided to stop writing that strip. I have a few Calvin and Hobbes books at home that I will NEVER get rid of!!!! !